Left click on the images and drag to your desktop to save. A self-standing shadowbox in a sleek black-finished wood, “The Box” doesn’t consume much desktop real estate. 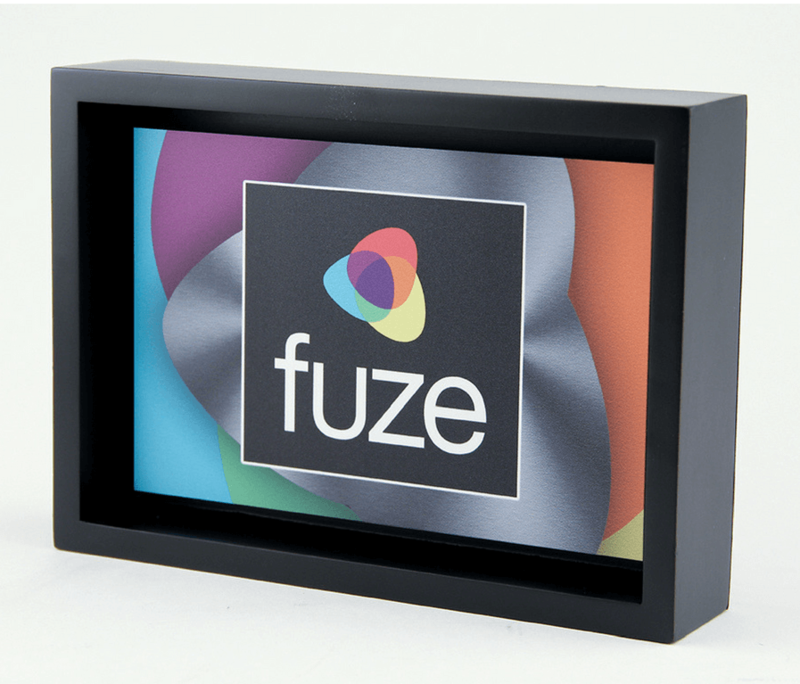 The full-color, digitally-imprinted metal plate is bumped up from the background to create a dimensional, shadowed effect. Nothing can reflect the image of a brand better than a mirror. Levi’s Mirror is acrylic, so it’s significantly more durable than a glass mirror. 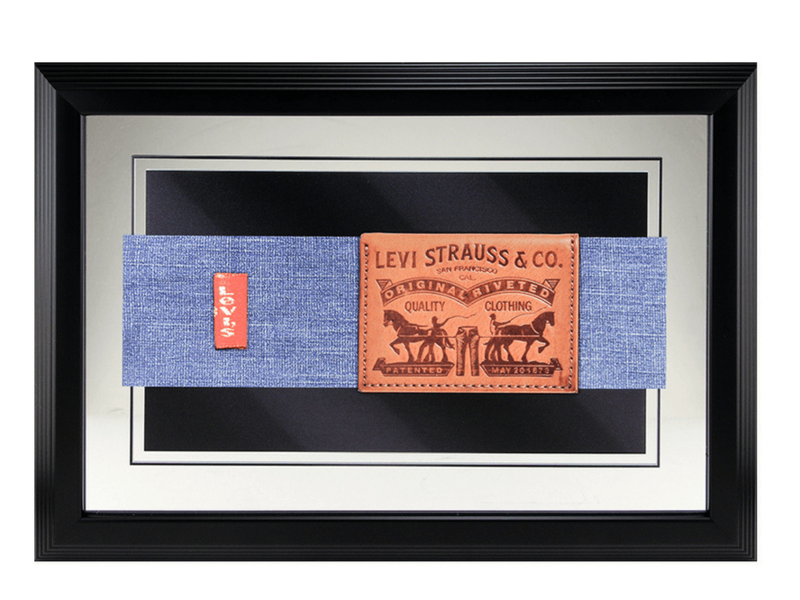 The wood frame (choice of 4 in-stock wood varieties) accents the digitally-imprinted, hi-resolution image. 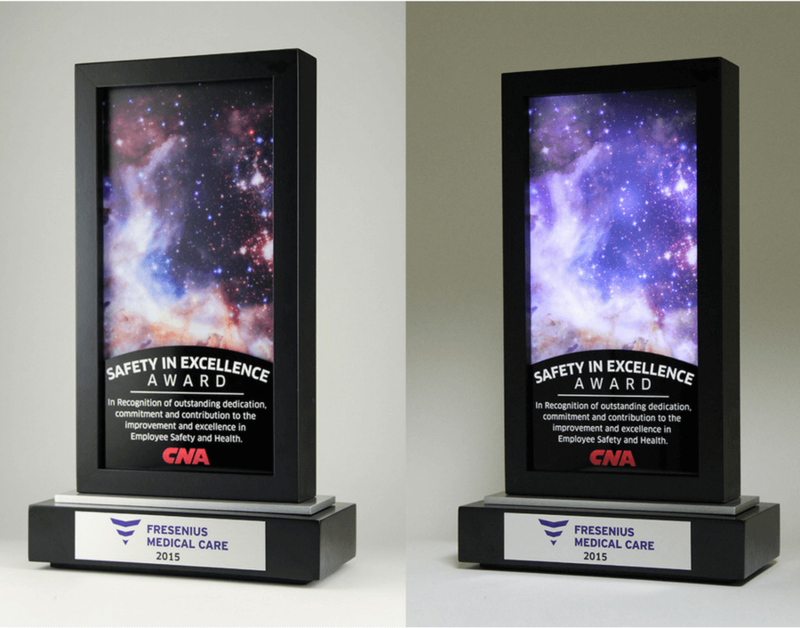 Available in 4 standard sizes—or create your own custom mirror display. Variable imprint available. Tying together sleek, laser-cut acrylic and a weathered faux wood base yields an innovative and unique design. The base is actually cast resin Foxite in extraordinary detail. 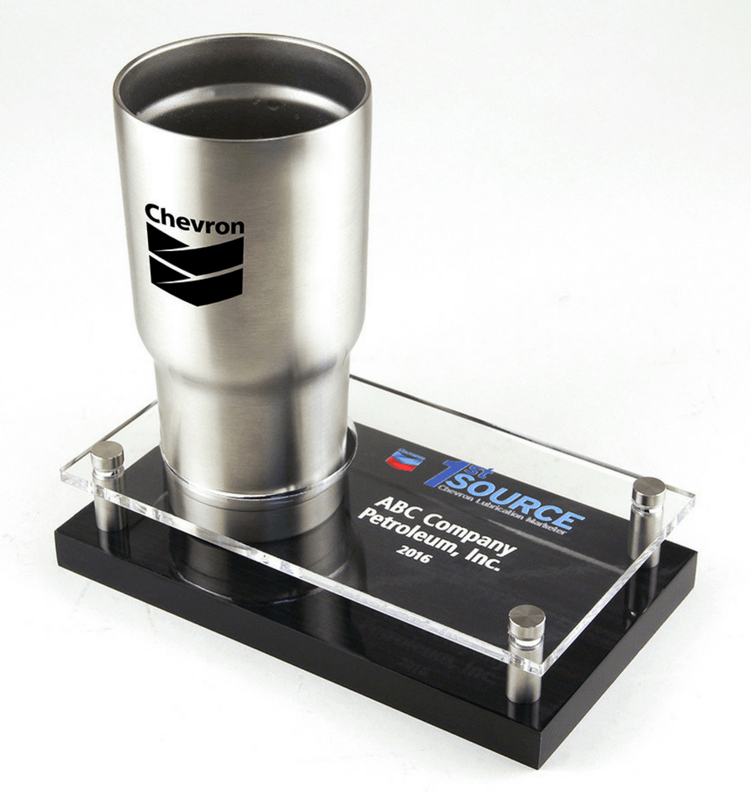 Various media—including glass, solid surface, and cast urethane resin—are integrated into a cohesive trophy design. The base includes an update feature for adding annual qualification plates. 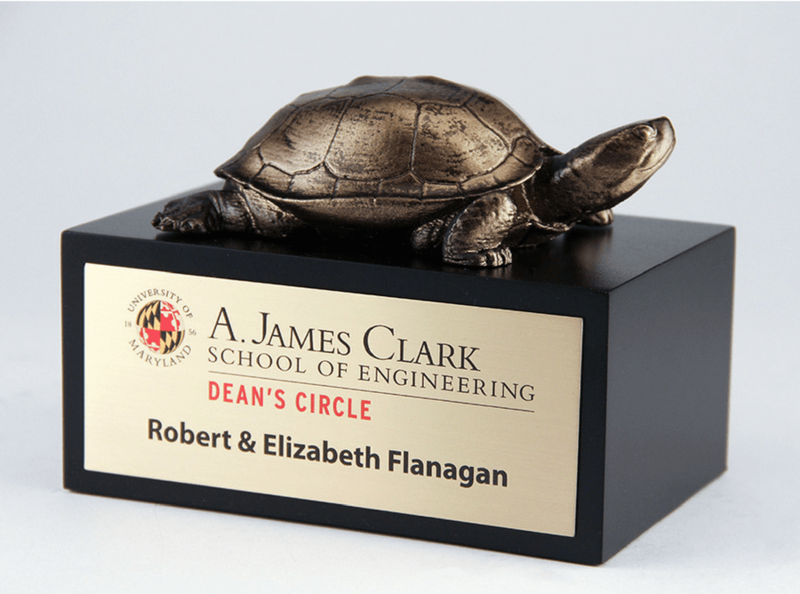 Despite the subject matter, we produced these cast resin Foxite turtles quickly! 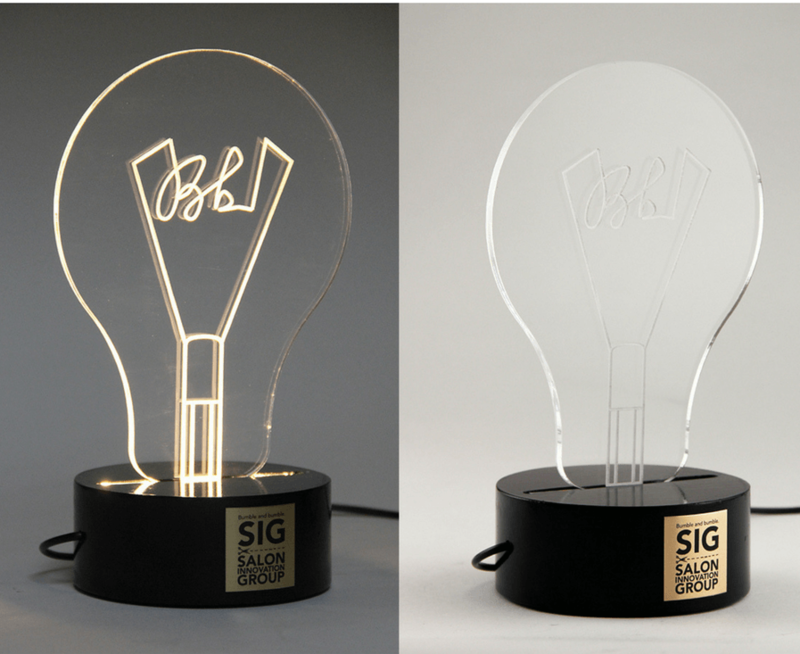 The imprint on this clear acrylic piece glows when illuminated by the lighted base. 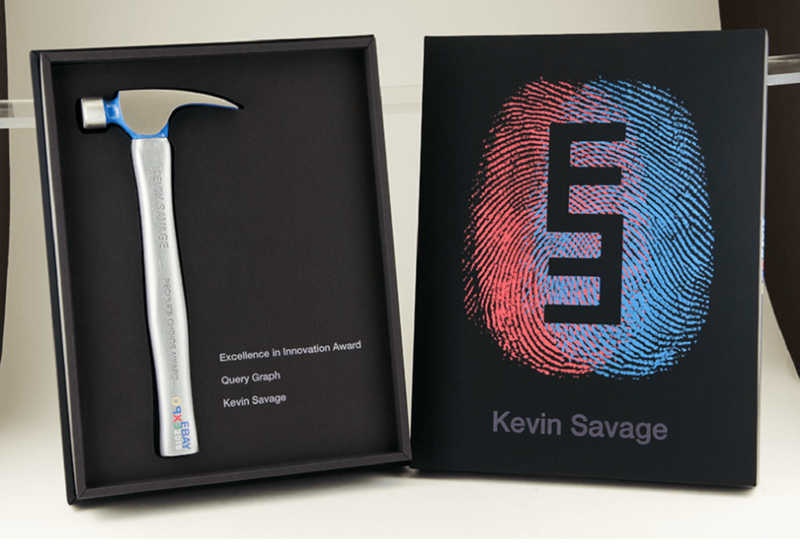 This award plugs in to illuminate the high-resolution imprint on the face of the award. 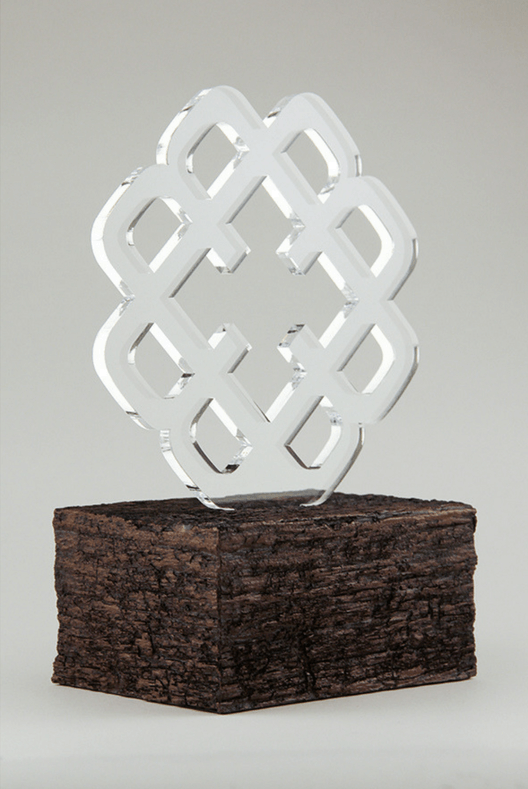 Constructed from wood, cast resin Foxite, and solid aluminum. Starting with a real hammer, we decorated and added paint details to the handle and head. 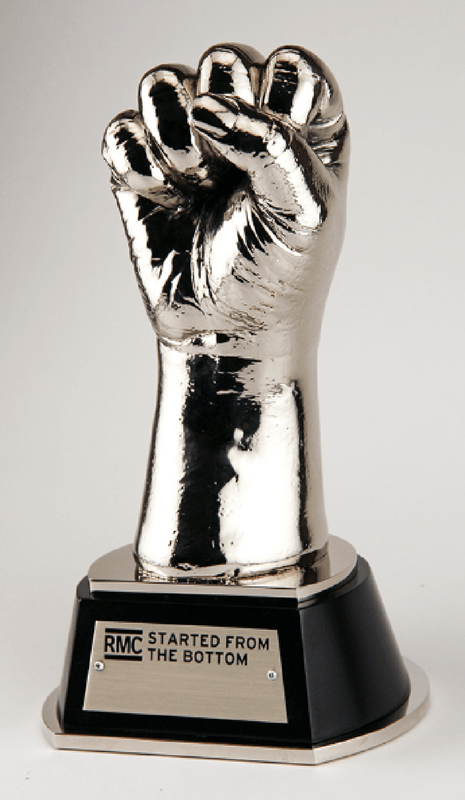 The presentation box is an elaborate construction that enhances the awards occasion.